It seems that missionaries and Montreat have always gone together. Whether training for their mission or resting from their labors, missionaries have found a home in Montreat. This is a brief story about some of the first Montreat settlers and their mission work. Come back for future profiles into Montreat's history. The late nineteenth century recorded an unprecedented growth in women's participation in higher education, including ladies' seminaries, women's colleges, and coeducational universities. The women's colleges, which bloomed mid- to late-nineteenth century in North America, England, and Australia, generally encouraged missionary societies as part of their extracurricular club life. One of the early American women's student societies was the Mount Holyoke Missionary Association (MHMA), founded by Dr. Mariana (Mary Anne) Holbrook and three others. In 1878, Holbrook transferred from Mount Holyoke Seminary to the University of Michigan to prepare herself for missionary service by studying medicine. After graduation in 1880, she interned in Boston for six months and then went to Tung-cho, North China. In ill health, she returned to the States in 1887 to Mount Holyoke, but recuperated sufficiently to go to Japan two years later. In 1888, the MHMA went public and accepted new members who shared their purpose. The group included daughters of missionary families, as well as others with an interest in missions. In 1889, Dr. Holbrook and three Mount Holyoke students  Cora Stone, Caroline Telford, and Lizzie Wilkenson  wrote to the American Board for Foreign Missions, offering to be missionaries in Japan. Holbrook and her three friends offered to help establish a "Mount Holyoke College" in Japan so that Japanese women could be trained to their "sphere of usefulness" and help elevate the status of Japanese women. The proposal was rejected. But that didn't deter the Mount Holyoke women. The four instead joined the faculty of Kobe Girls School/College in Japan, where Holbrook established the science department. The school was founded by American missionaries as a Christian institution of higher learning for women (1870s dormitory room at left). It became a liberal arts and science college during the transition period from 1885 - 1894. And the Mount Holyoke women were invaluable in their assistance during that period as the school transformed into a three-year college. 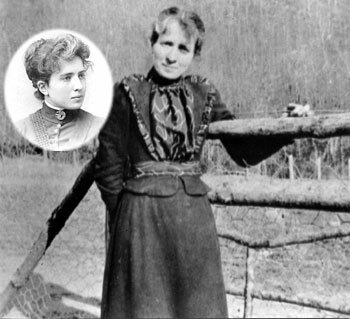 Tuberculosis forced Cora Stone to return to the United States in 1894, but she later served as a home missionary in North Carolina. 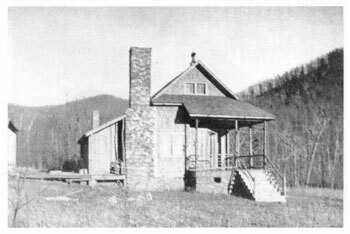 In 1897, Dr. Holbrook returned to the U.S. and settled in 1898 in Montreat with Cora Stone, until 1902 when Dr. Holbrook returned to teach at Kobe College. In 1910 Holbrook returned to the U.S. due to ill health from diabetes, where she later died that year. 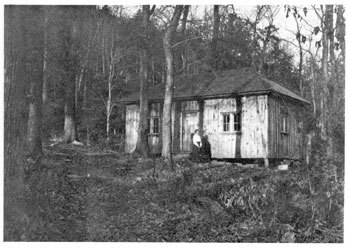 While in Montreat, Cora Stone created the first general store and library in Montreat at a new building, Cabin in the Woods, apparently located near the intersection of today's Woodland and Virginia Roads. Upon Stone's death in 1904, the community moved her public library, dedicated in 1904/1905, to the Community Building (today's Post Office building on Assembly/Georgia terrace). 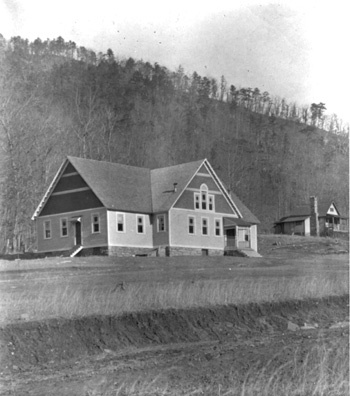 The library was used by Montreaters and eventually became the core library for the Montreat Normal School in 1916, today's Montreat College. The third woman shown in the above top right photo is Julia Ann Eliza Gulick, 1845 - 1936. Julia Gulick was the youngest of Peter Johnson Gulick and Fanny Hinckley Thomas Gulick's eight children. Her parents were missionaries arriving in the Hawaiian islands around 1828. 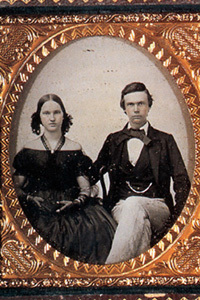 She is shown with her brother Thomas around 1860 in this photograph (courtesy of The Bishop Museum). Julia Ann Eliza Gulick became a missionary to Japan in 1874 and remained on and off for over 30 years. She worked at Kobe College and became friends with Dr. Holbrook and Cora Stone who also were on the faculty. She was probably visiting Montreat sometime during Fall 1898 or early 1899, as she does not appear in the 1900 census. Gulick served as a missionary for 62 years in Japan and back in her native Hawaii. Missionaries to the Far East were among the first settlers in Montreat in 1898 and 1899. 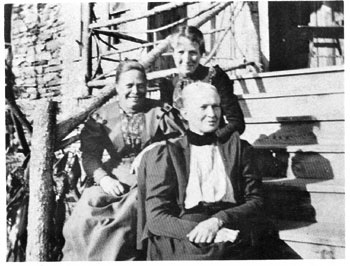 Shown above circa late 1898 or early 1899 are: (left to right) Julia A. E. Gulick, Cora A. Stone (upper step) and Dr. Mary Anne (Mariana) Holbrook pictured on the step of the Holbrook House, which was one of the first homes in Montreat (on Lot #59). This house was built during Fall 1898 for Dr. Mary Anne Holbrook. It was located at what is now 184 Mississippi Road (Lot 59). Cora Augusta Stone is shown from her Mount Holyoke days (circa 1888 in inset oval, courtesy of Mount Holyoke College) and in Montreat in Fall 1898. Below is her store and library in The-Store-in-the-Grove structure located near her home (probably lot 124). Below is the Community Building constructed in 1900, which would house the Cora A. Stone Memorial Library in 1904/1905. In the background is Chinquapin home, built under the supervision of Dr. Holbrook for Mary Martin in Fall 1898. Exception to copyright notice above; The Montreat History Spotlight is copyrighted by CSI/ISI, 2007.